We watch CSI, Criminal Minds and Dexter along with a host of other serial killer and true crime shows. Why? Because we are fascinated with the minds of cold blooded serial killers. No, we don't want these people operating in our towns and cities, but we don't mind reading about them and watching documentaries on people like Manson, Bundy, Dahmer and the rare female serial killers. If you're looking to read about a variety of serial killers, you can in my books. I don't write a book on one serial killer. My books are a collection of killers, ie, Doctors Who Killed, or Notorious Serial Killers Captured. 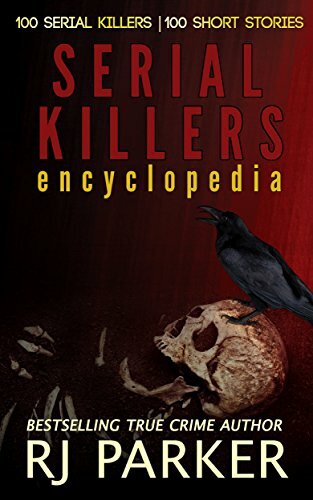 After reading about a particular SK, if you want more information, well then there's tons of books out there on individual killers. Here's a few true crime serial killer books that each have several killers in them. They are all bestsellers and have been downloaded in total over 200,000 times onto Kindles and other reading gadgets like iPhones, iPads etc., not counting most of them are available in paperbacks and audio books.